~Absolute Kitchens director Malcolm Marshall founded the business after 30 years in the building and design industry. Now joined by staff members Nathan and Steve, and ably supported by his capable sales manager and administrator (and wife!) Marion Marshall, Malcolm is dedicated to providing great service and quality NZ kitchens to home-owners. The team takes pride in their solid reputation in Auckland, and a large part of the work done is generated purely through client referrals. 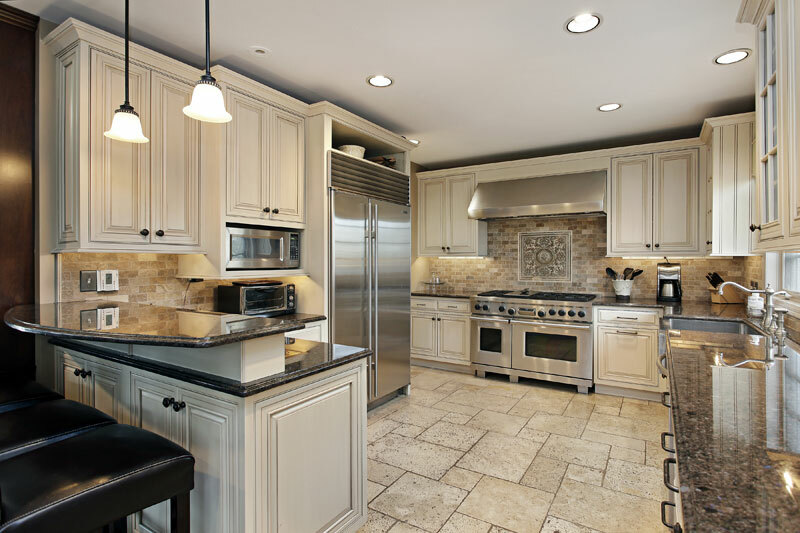 Customers are always involved in the design phase, and the team is dedicated to ensuring that customers receive a custom kitchen design made exactly to their requirements. After many years experience, Malcolm has come to understand that custom-made NZ kitchens offer better value and are less expensive than the modular kitchen concept. So when you come to Absolute Kitchens, you will always receive a quality kitchen at an affordable, competitive price. We can do total project management giving you complete peace of mind. ‘The bitterness of a poor quality job lasts a lot longer than the sweetness of a cheap price’. We are known for always providing friendly, efficient service and superior Auckland kitchens, and we’re proud to say that a lot of our business comes from referrals. Read on to find out what our satisfied customers have to say about Absolute Kitchens. We have some great testimonials on the No Cowboys website. Read them here. If you’re ready to get started with designing a new kitchen for your home, please contact Marion and the team, or read more about the range of quality kitchen products available.